Each hand made Gingerbread cookie is removable and numbered from 1 to 24. 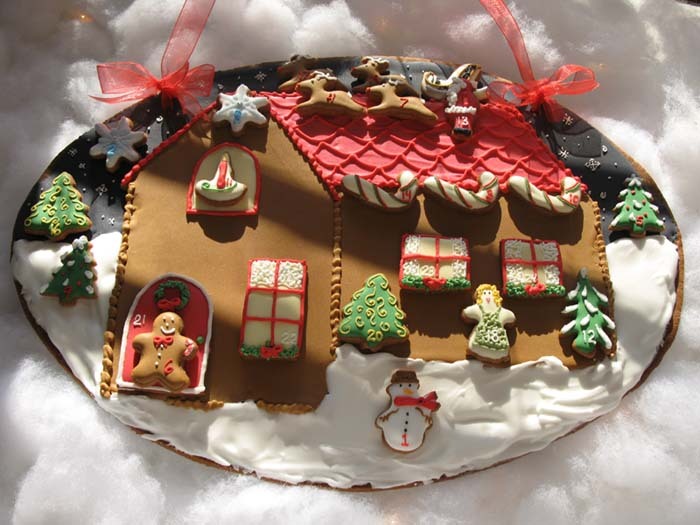 On Christmas you eat the WHOLE base Gingerbread cookie (sized 15″ x 11″). Details here.